Lock in a great price for Wingate by Wyndham - St. George - rated 9.2 by recent guests. Good locations. Grocery store and other restaurants within walking distance. Free shuttle bus at a convenient time to the local St George airport. I had an early 6am flight to LA. The hotel provided a free shuttle bus at 5am taking 15 minutes to arrive at the airport, leaving 45 minutes to complete check-in, bag drop off and security, which was more than enough time to do this at SGU airport. Customer service allowed me to get back to the room to find my lost sunnies. Refunded my money without follow up as I double paid them. Great location, close to a lot of restaurants. Also room was very roomy & bed very comfortable. Modern property with nice, clean rooms. Good breakfast. Spacious clean room. 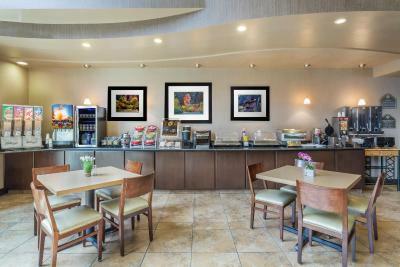 Good breakfast and very nice dining area. The bed was very comfortable the staff was very friendly and to the breakfast was fine. We asked about dining in the area on the staff gave us a great place to eat. The rooms are so big! The price is very low and you are close to the national parks. Quiet neighborood close to the freeway without the noise. Breakfast is pantagruelian and staff very helpful. 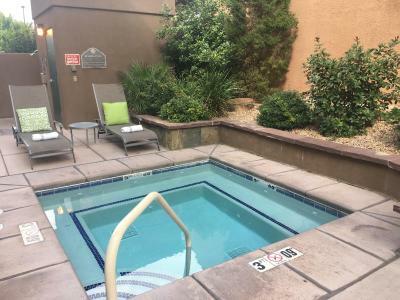 One of our top picks in St. George.Located off Interstate 15, this Utah hotel is 3 miles from the St. George Utah Convention Center. 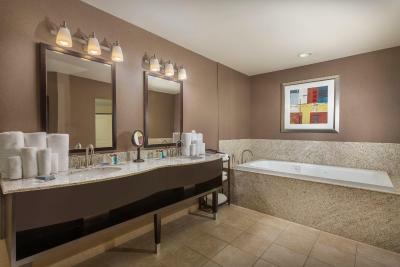 It features an outdoor pool and hot tub and serves a daily full hot breakfast buffet. 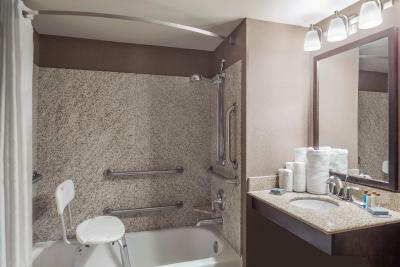 Free Wi-Fi is included in all guest rooms. 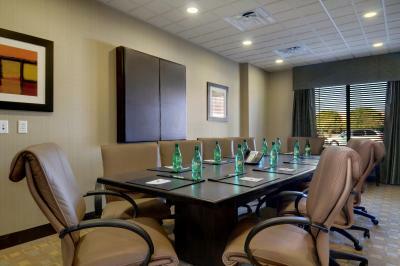 A satellite TV is included in all of the contemporary guest rooms at Wingate by Wyndham – St. George. Each spacious room includes a microwave, a refrigerator and tea and coffee-making facilities. 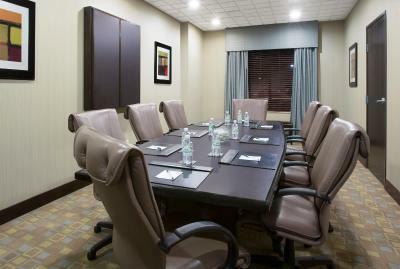 A 24-hour reception is offered to guests of St. George Wingate by Wyndham. 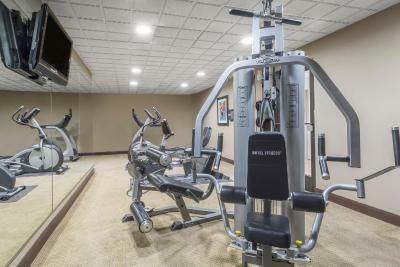 Guests can go for a workout in the on-site modern fitness centre. A business centre with fax and photocopying services is available. 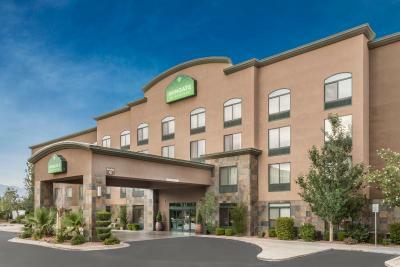 A free airport shuttle is offered St. George Municipal Airport, which is 20 minutes’ drive away from this hotel. Zion National Park is 45 miles away. 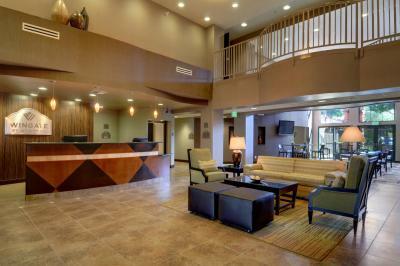 Wingate by Wyndham - St. George has been welcoming Booking.com guests since 20 Jun 2012. 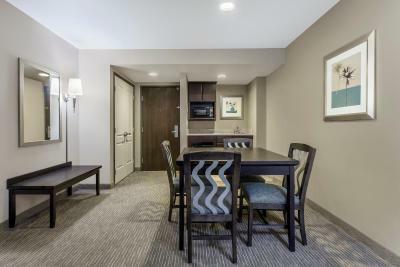 When would you like to stay at Wingate by Wyndham - St. George? 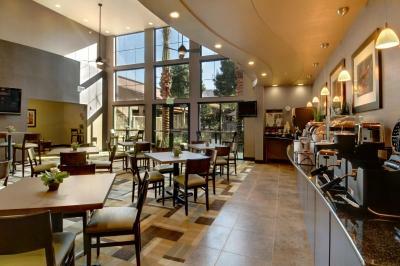 "Wyndham Hotel Property of the Year 2015-2016" Wingate by Wyndham has the best quality and customer service in St. George. We also pride ourselves on our Free Enhanced breakfast. Our guests tell us it's the best in town! House rules Wingate by Wyndham - St. George takes special requests - add in the next step! All older children or adults are charged USD 8 per person per night for extra beds. Wingate by Wyndham - St. George accepts these cards and reserves the right to temporarily hold an amount prior to arrival. Please note that all pets must be registered at the front desk upon check-in and dogs are the pets allowed. Contact the property for more information. Very clean and comfortable. Staff was friendly. Breakfast hours end fairly early at 9:00. Enjoyed our stay very much at such a great value. Pool is kind of small - jacuzzi soooo hot you could barely sit in it though. Breakfast was just kind of average. The walls are super thin. Heard everything from neighbors on all sides, upstairs and people walking down the hall. Breakfast was really good. Great options. Reception staff could have been slightly more friendly. Other hotels I have stayed at in the US were a lot more friendly. They were helpful and answered any questions that I had though. Shades for sun glare at breakfast area. The rooms were spacious and comfortable. The Breakfast had a great variety and was good. The staff was helpful and kind. Booked Jr Suite but got put in a small “handicapped” room. Asked person we checked in with, she said we did not book Jr Suite. Booking.com email says we did. Hotel says Booking.com booked it wrong. Hmmmm, seems I’m getting the run around. Too bad, it is our anniversary would have been nice to get a decent room. Bed good, breakfast fine, did not get the room we booked. Got “handicapped “ room instead, not what I booked. We were totally surprised to find that our room was much more than a room with a king bed, a suite was well above our expectations. We were in a room on the second floor & when the people above us walked in a certain part of their room, I think the floor in their room was squeaky & we could hear that. Only guessing that’s what the noise was. Our room was facing the pool. 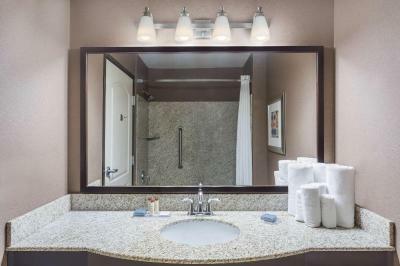 No towel rack near the bathroom sink. The only towel rack was in the shower. Great location with easy freeway access. Looks like a newer and well-kept hotel! Clean outside and in. Very comfortable room/bed/pillows. Breakfast was excellent! Nice exercise room. Good price for that nice of a hotel.